The Balenciaga handbag line has a long history. In 1915 the young Spanish designer Cristobal Balenciaga began designing fine fashions for some of the most notable women. Although Balenciaga had a few less successful years, the talent of designer Nicholas Ghesquire, who came on as creative director in the 1990’s, has made the company hugely successful once again. Balenciaga motorcycle bags are simply stylish and beautiful. These bags are an addition that is suitable for all women. These bags are definitely different from other bags. One of the features that have contributed to the popularity of these bags is the type of leather the Balenciaga motorcycle bags are made from. 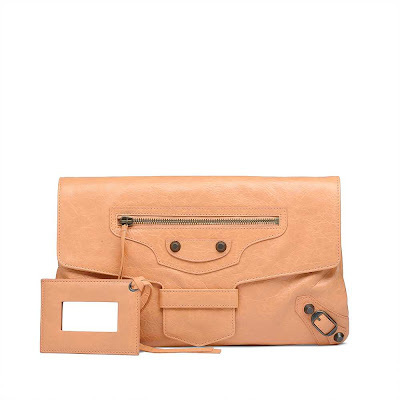 These bags are made from soft, thin and light weight leather. However, the fact that the bags are made from thin, soft and light leather does not mean that these bags can easily tear and wear out easily. Alternatively, this type of leather makes the bags durable and unique in appearance. The Motorcycle Bags are available in classic, giant 12 and giant 21. Color is one area where Balenciaga handbags appear to have no boundaries. You’ll find just about every color under the rainbow, from teal to metallic orange. There are two seasons S/S and F/W. Each season has a pre-collection, and then a collection. S/S pre-collection colors are usually released December, and the collection is released in February. For F/W pre-collection, it is released June, and the rest in August. Black, White and Anthracite come every season. But Motorcycle Bags could never existed in the first place. Ghesquiere tells that he made the prototype at the behest of company brass, and they dismissed it as too soft, too lightweight and too lacking in structure. As it turns out, all the things that they thought would make it unpopular are what make the design so beloved. People who have loved and adored Balenciaga bags over the years have one group of people to thank for it: Models. That’s right; if it weren’t for the models, there is no single Motorcycle bag. Ghesquiere says that he convinced his corporate minders to allow him to produce the bags just for the runway show so that the girls would have something to carry while they walked, but the models (most notably Kate Moss) were so immediately smitten with the design that he knew he had a winning bag on his hands. When Kate Moss tells you that something is cool, it’s in the best interest of everyone who stands to profit to listen to her. More than a decade later, with 100s of colors these bags became one of the most successful it-bags in history! Should I buy the First or the City? Although they are similar in design, they are both significantly different in size. The First holds a significantly smaller amount than the City, if you carry more than the essentials, it is recommended that you go with the City. The Part-Time is more of an east-west type of bag that comes with a shoulder strap. The Work looks like a larger version of the City, but without the shoulder strap. The Town is very similar to the First but is taller in height. The Twiggy is a log shaped bag that has a shoulder strap and top handles. Though it is shorter than the City, it holds just as much the City can.